The Department of Molecular and Cellular Biology, in partnership with the “Molecules, Cells, and Organisms” graduate training program, is pleased to announce a new summer internship program for undergraduate students from backgrounds traditionally underrepresented in science. Starting in June 2009, we will host up to six well-qualified student interns from across the nation for ten weeks. 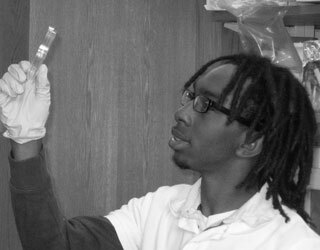 Interns will work closely with faculty, postdoctoral fellows, and graduate students on current research projects, developing important skills and techniques while learning about the cultures of basic research and graduate school. Please visit our summer internship webpage for more information.